It was my 30th birthday last month and instead of going out and getting hammered I wanted to have the ultimate craft night and something a bit different that would indulge my creative side! I got the girls round to have a night of ring making using the process of lost wax carving. It's run by the fab girls at The Workbench London and lets you design, carve and then have your dream ring cast in silver, gold or rose gold. If you're looking for something fun and different to do then you have to check this out... Oh and take a look at our finished creations! 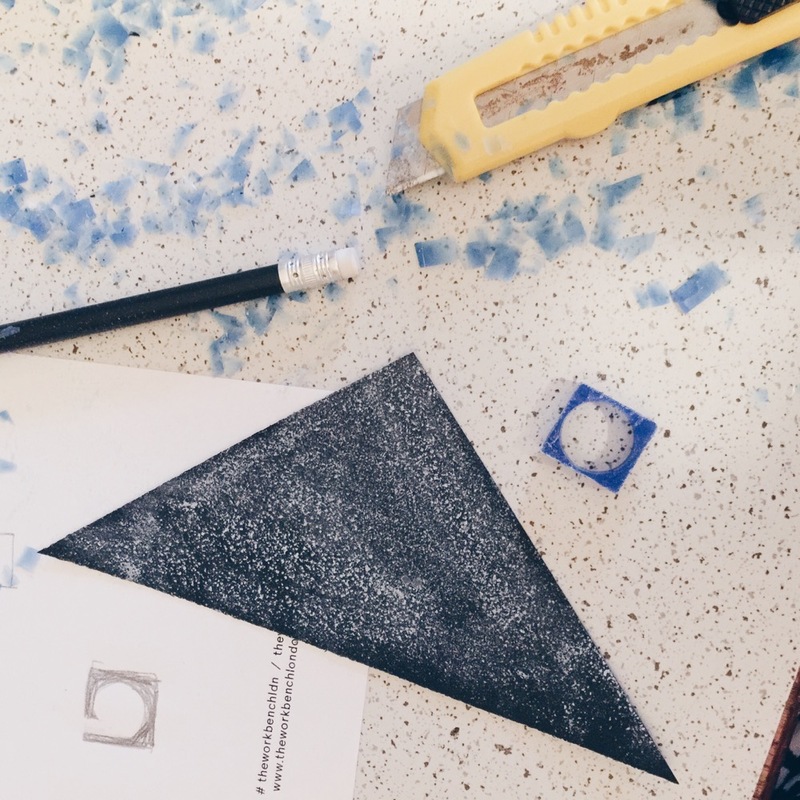 First of all, check out The Workbench London and what they do in this little video trailer! 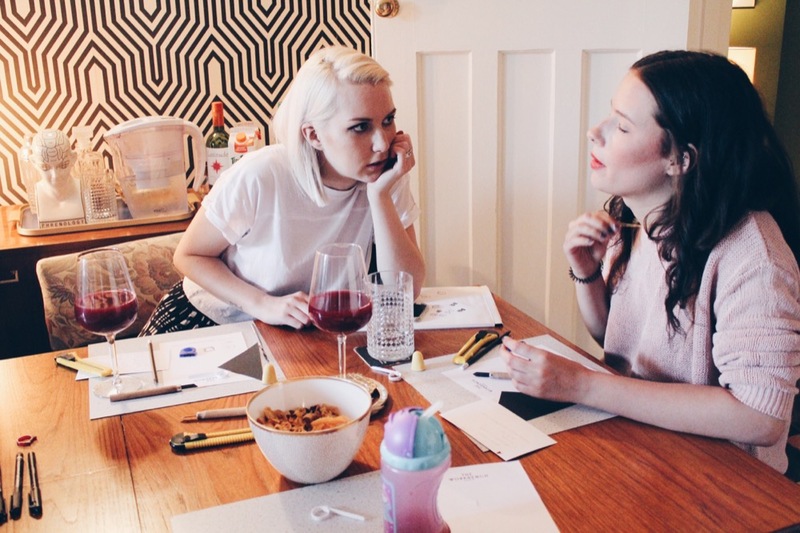 They run these pop up workshops all over London in cafes and bars, but because it was an extra special occasion we hired the ladies to come and do a private party for us in my flat. First of all we had to measure up our wax to fit our fingers. Next we all had a little chat about what kind of designs were possible with the wax and trawled through pinterest and instagram to get some inspo. Some of us (of course me) had geeked out and drawn up some ideas. Not all were possible but it was really fun to see what people had in mind for their creations! Katie and Kirstie who run the company talked us through how to cut the wax into our desired shapes using our craft knives. It takes a while at first to keep chiselling it down into something ring like! Of course we made sure that we had copious amounts of cheese and chutney to keep up nourished. At one point the room almost fell silent as we all concentrated so hard on getting our rings perfect! MORE GREAT CONTENT DIRECT TO YOUR INBOX! An hour or so in and some of us were starting to get some rings that resembled our desired objects. We had a few breakages along the way, but the girls were super great as keeping us motivated and repairing our wax models! We had so much fun chatting, listening to music and creating. The Workbench ladies gave us loads of help and ideas along the way and by the end of the evening we had some awesome designs ready to be sent off for casting. 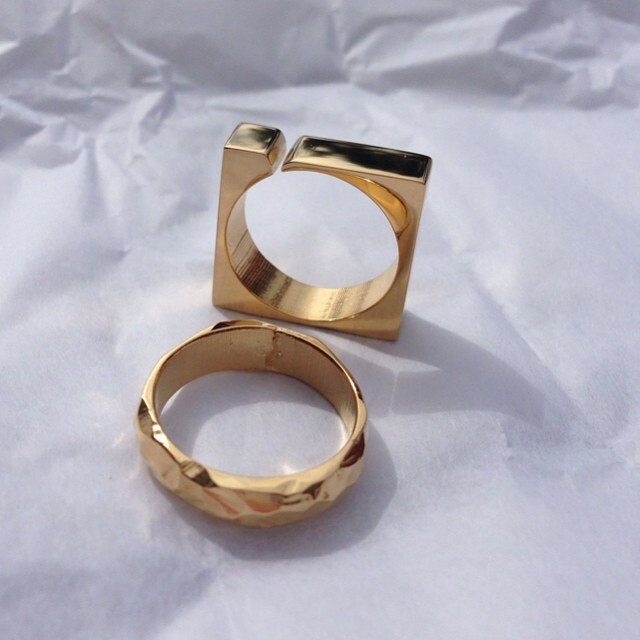 I chose a gold plated finish to my ring, whilst most of the others went for a solid silver. And here are some of the final pieces (mine's the gold geometric one). I'm super chuffed with how mine turned out and I wear it all the time. It's so nice to have a piece of perfect jewellery that's totally my taste and I can look back and remember was made on my 30th birthday. I really recommend going to a workshop with The Workbench or having a private party! 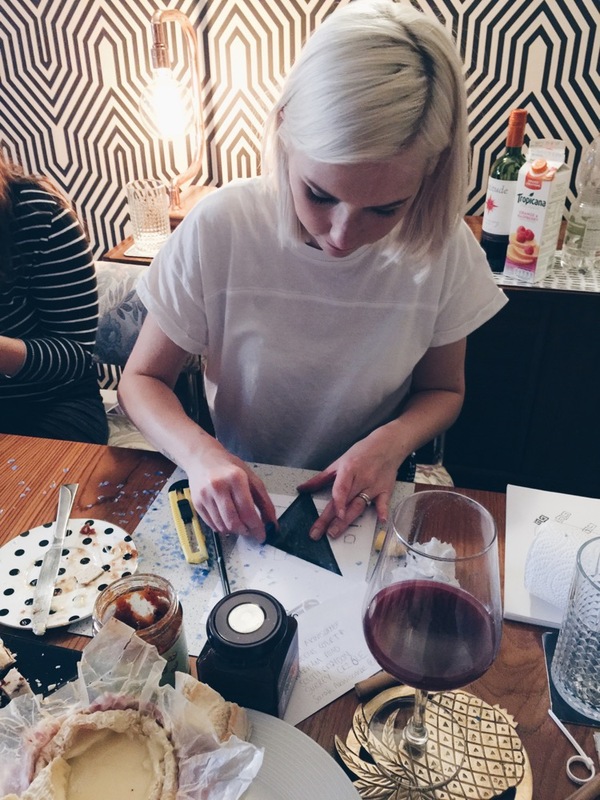 Would you like to go along to this new craft night? I'd love to know what you think of my ring! VIDEO: JULY FAVOURITES INCLUDING H&M HOME, SMUG, M&S AND FLAMINGOS!